It seems we can’t go a whole day without some news about The Amazing Spider-Man 2. This is due in part to Marc Webb’s daily Twitter updates about the film, but it’s also being greatly helped along by the incredible excitement fans are already showing for the next adventure of everyone’s favorite web-slinging hero. Today’s news is of the casting sort, and fairly unexpected. Webb has Tweeted a picture of B.J. Novak with the caption “Day 38. A supposed rumor about a Dunder-Mifflin takeover of Oscorp?” Of course, this can only mean that Novak has been cast in Sony’s upcoming sequel. I’m excited that Novak has joined the film. He really is a quality actor and I love to see him branch out into some more non-comedic projects. He was very enjoyable in Inglourious Basterds, despite a relatively small role, and it’ll be interesting to see him appear in a superhero flick. So the question now is who is Novak playing? Is he just some Oscorp employee? Does he have some relation to the past of Peter Parker? Is the villain overload continuing with Novak as Mysterio? (I’m joking on this last one, or at least I hope so). This is one of the most revealing Tweets that Webb has sent out, as it isn’t quite as cryptic as the rest (I’m of course assuming there isn’t some deep hidden meaning here), but if you’re interested in attempting to dissect some of his other clues, I wrote an article last week about some of his best Tweets that may be able to help with that process. While we won’t know for sure what Webb is getting at until the film actually hits theatres, it’s going to be a fun year trying to figure out what the director has in store for the Spidey faithful. 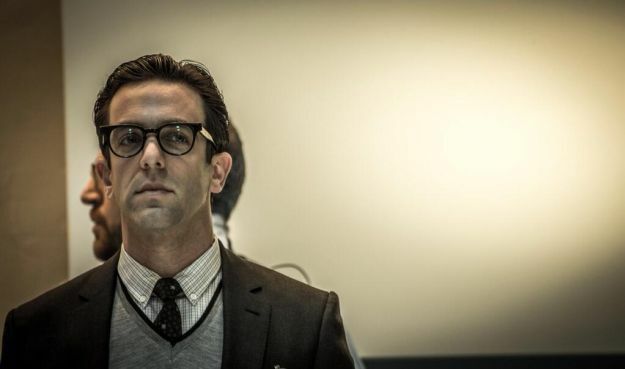 What do you think of Novak’s casting in The Amazing Spider-Man 2? Any guesses as to what his role in the film is? Share your thoughts in the comments section below?